As you have noticed, Tree Top Adventure is one of our favorite adventure destination in Travel Eat Pinas. 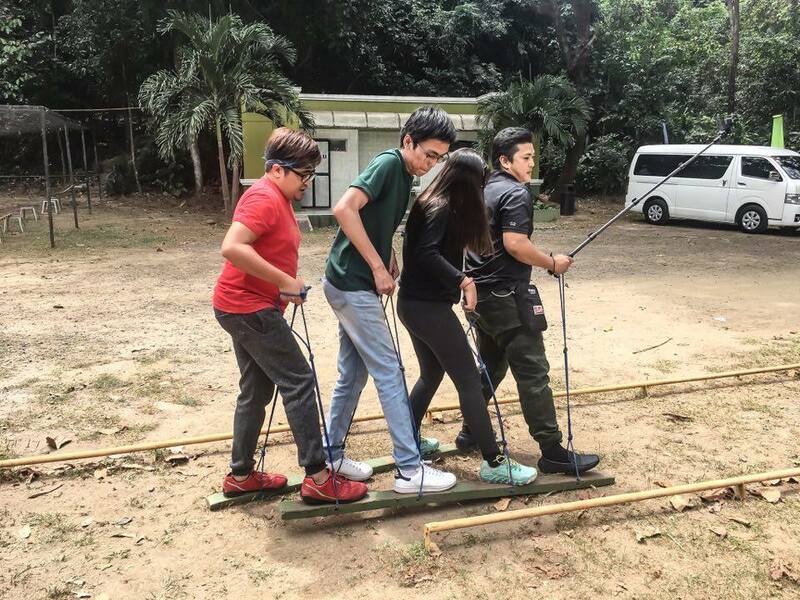 We featured Tree Top Adventure as a must visit destination in Subic, Zambales and we also gave you some tips about the must try zip line rides and activities in the park. What we didn't inform you are the team building facilities and activities of Tree Top Adventure. Last February, we were given a chance, along with our fellow Pinoy Bloggers, to experience a one of a kind Team Building Activity in Tree Top Adventure. Why do we say that it is one of a kind? 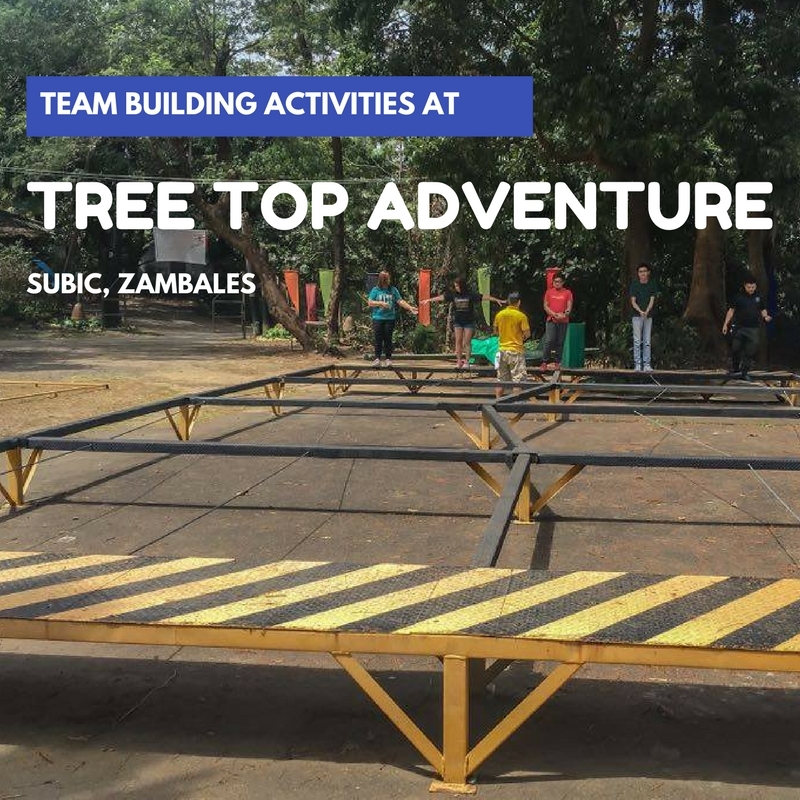 It's because Tree Top Adventure has mechanical team building activities that will surely strengthen your team, barkada and even your family's relationship. 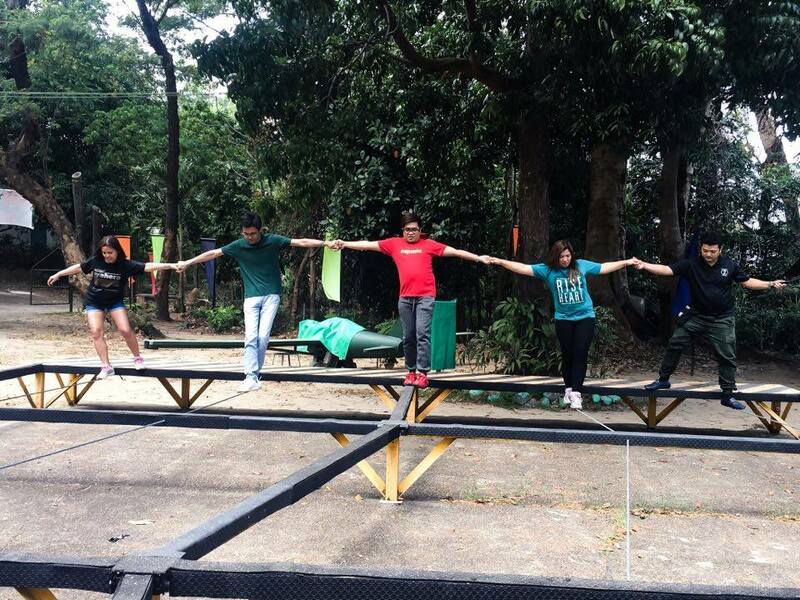 Tree Top Adventure have 12 team building activities in their branch at Subic and 8 in Baguio. They have two packages that you can choose from. Package 1 includes 8 team building activities with a facilitator, team building kits that include name tag, arm bands, and all the necessities in the chosen activity, and company certificates of participation. Package 2, on the other hand, have 12 team building activities with a facilitator, team building kits, and certificate. 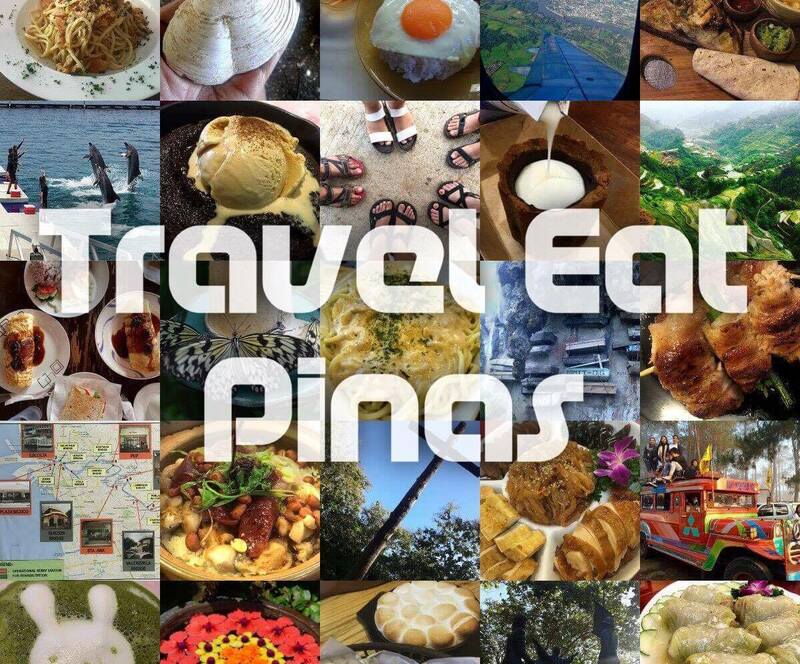 Package 1 costs PHP 800 and Package 2 is PHP 1000 per person. Among all the team building activities that we try, seven of them will surely help your team bond and strengthen your relationship. Team Lanyard will test your patience, trust, balance and team's coordination. Each member of the group needs to hold each other to cross the ropes and reach the other side of the platform. Cross the ropes while holding your teammate and balancing yourself. We thought that this activity was easy, but it's NOT! We need to find the right sequence, rhythm, and balance in order to cross the ropes. The key to conquering this activity is the team's coordination and communication. Gem Drop will test the team's patience, coordination, focus, and strategies. Each member of the group needs to strategize and focus in order to match each gem using the pull and push strategy. Match the partner of the gems with the push and pull strategy. What we love about this activity is it enable us to strategize and listen to each other to finish the task. Yes, you read it right! 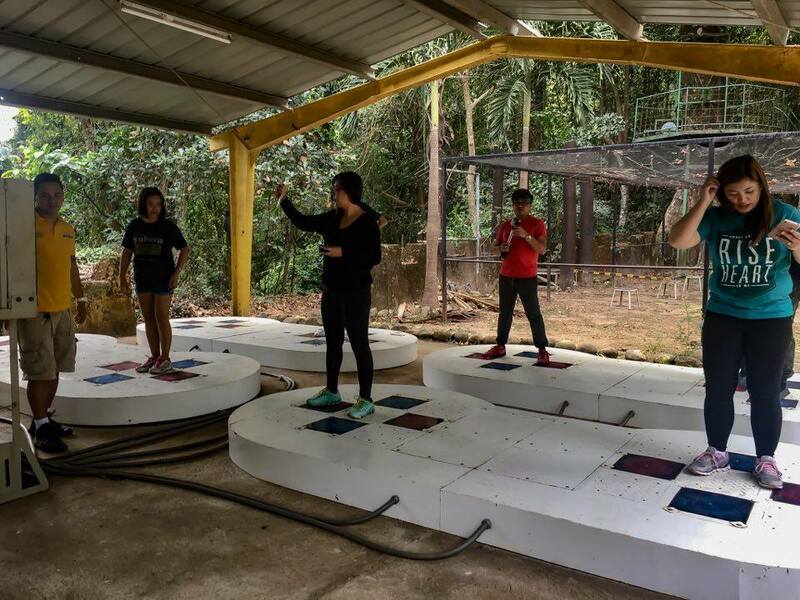 Tree Top Adventure has a dance challenge activity known as Dance Revo. Like the Dance Revo that we grow up with, each member of the group needs to step on the light in order to move to the next step. Step on the lighted button to move to the next step. This game reminds us of Dance Revo and most of all it enhanced our coordination since we cannot move to the next step if someone mistakenly step on the wrong button. Each member of the group will cross a rope bridge by holding and passing on a hanging rope. This is the hardest activity that we did as we need to balance and grab the hanging rope and pass it to our teammates who also struggle with balancing their body. 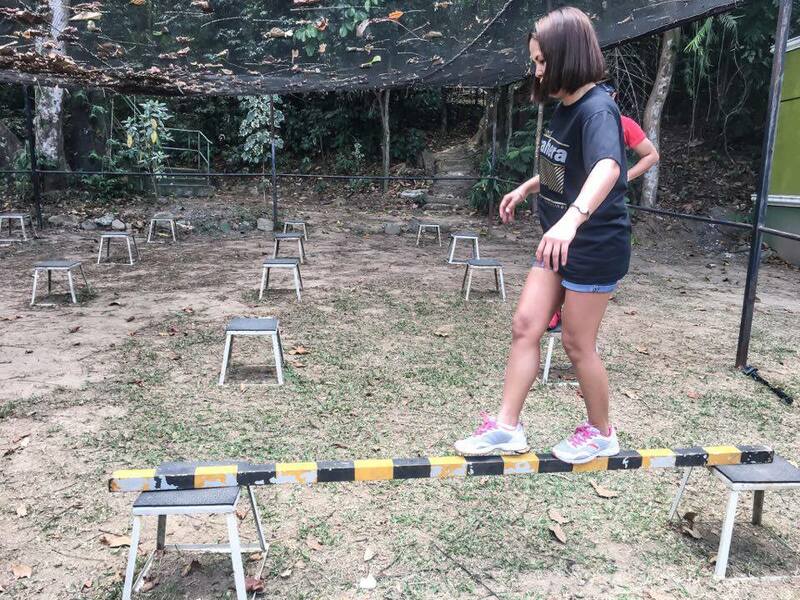 The team will walk like a centipede by stepping on a pair of wooden plank until they reach the end of the maze. Step on a wooden plank and walk as one in Centipede Pedal. 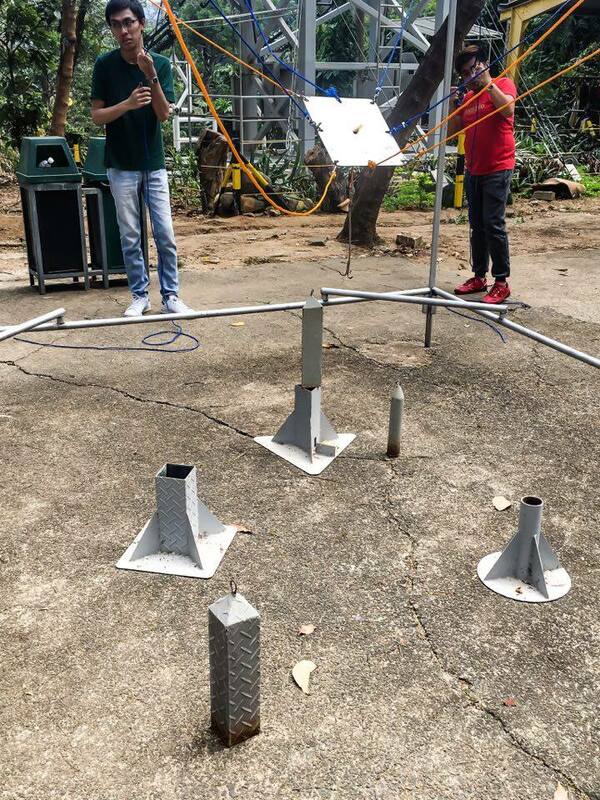 The activity was hard at first since we need to strategize, do some trial and error and coordinate but as we move forward the task on hand became easy and we finished the activity ahead of time. Spike Valley is an activity that will test your team's strategy and collaboration. Each member of the team needs to cross the platform by using a metal rod at the shortest possible time. Cross the platform using and passing a metal rod. This activity consumed a lot of our time since we need to strategize. We need to find out who will move from one platform to another and who needs to pass the metal rod to the other in order to reach the finish line. This game surely made us think, listen to each other's idea and work as a team. 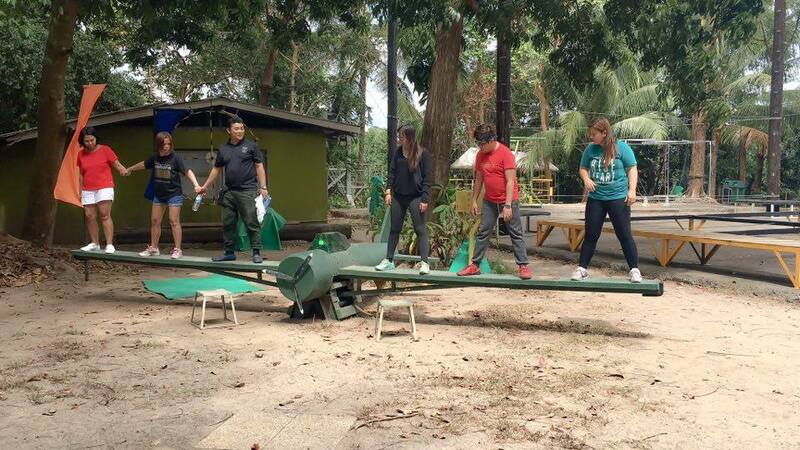 Team See Saw will hone the team's communication and coordination as each member of the team need to work together in balancing a kamikaze-inspired see-saw. The team needs to find the perfect mix and match in order to balance themselves in the see saw. This activity is a bit tricky since we need to move and change places in order to get a perfect balance. We finished our team building activity tired but fulfilled since we finish almost all the activities given to us. The activities that we had are one of a kind and most of them enhanced our team's collaboration and strategies. We also learned to listen, respect and acknowledge the ideas given by each of our team members. Most of all, the activities that we did strengthen our relationship. Tree Top Adventure is open from Monday to Sunday 8:00 AM to 4:30 PM.